Bradley Beal led the Wizards with 30 points against the Philadelphia 76ers but it was too little too late as Washington falls, 115-102. Otto Porter scored 17 points and Ian Mahinmi added 13 points off the bench but the Wizards win streak is snapped at five, as they can’t overcome a 17-point first quarter deficit. With all of the drama surrounding the team just hours before the game, it looked like this one might get ugly, and fast. 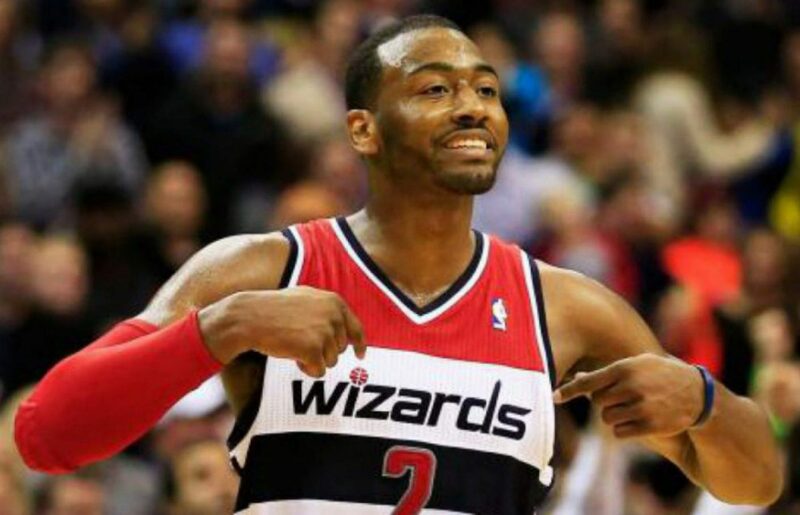 The Wizards were down 20 in the blink of an eye and trailed the 76ers 37-20 after one quarter. Even though their shots weren’t falling, Washington would claw their way back in this one on multiple occasions to make you think they had a punchers chance of completing the comeback. Unfortunately, for the Wizards, those runs were quickly countered by a Philly run as the closest Washington cut the deficit to was seven. There was a buzz in the arena to start this one. Philly fans, which don’t need an excuse to be loud were deafening at the beginning of this game and the 76ers fed off the energy. Everything Philly was throwing up they were knocking down evidenced as they shot 70% (16-23) in the first quarter and connected on 5-6 three-point attempts. On the other hand, the Wizards couldn’t buy a bucket. Washington shot just 33 percent in the opening period and if it weren’t for Otto Porter who had nine first quarter points, this one could have gotten super ugly. Bradley Beal was held scoreless on 0-4 shooting and at the end of the night; the 17-point deficit that the Wizards dug themselves (37-20) was just too much to overcome. Even with the early 17-point deficit, Washington still had a punchers chance late. Washington was able to cut the lead to 10 entering the fourth quarter and even cut the deficit to seven in the fourth quarter. But whenever the Wizards took their best shot at Philly, the Sixers had an answer. On numerous occasions, the Wizards were able to cut the Sixers lead down to make the game feel within reach but Philly would counter with quick runs to negate all that. Philly made Washington pay for their mistakes, often coming in the midst of those runs to build the lead back up to double-figures. Although it’s cliché, it’s a make or miss league and the Wizards were off early and it was too much of a deficit to overcome. The energy and effort were there, they just dug themselves too big of a hole early on. Bradley Beal started the game 0-5 from the field but when 12-17 the rest of the way. The Wizards streak of games with 25+ assists ends at five as they just had 23 assists tonight. Ian Mahinmi went a perfect 5-5 from the free-throw line tonight (yes, you read that correctly). Up Next: Washington’s hell week continues as the Celtics come to town on Thursday evening.